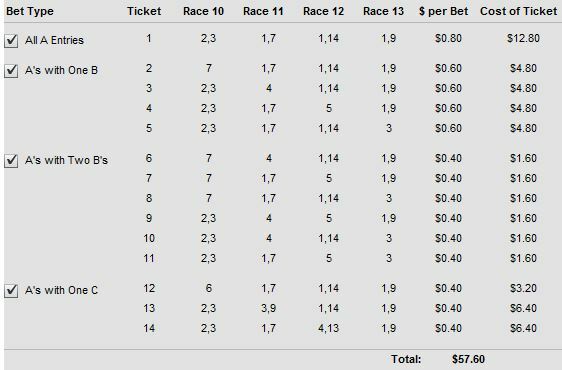 Saturday’s G1 Diana Stakes from Saratoga Race Course attracted a 7-horse field and My Miss Sophia is the 5-2 morning line favorite. Other contenders include Tepin (3-1) and Stephanie’s Kitten (7-2). 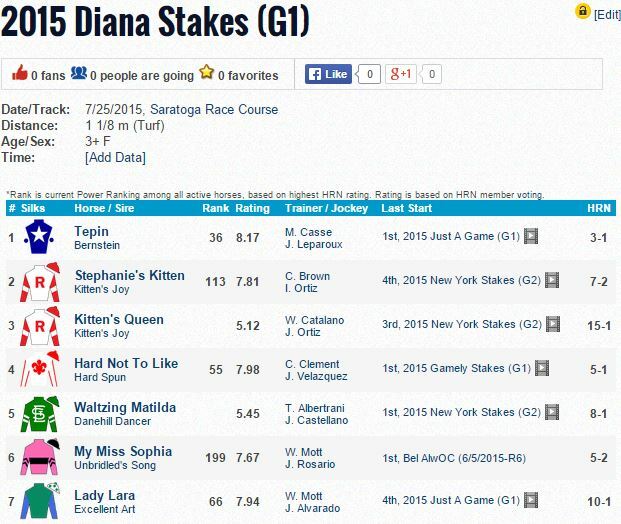 The Diana is the 10th race on the program with a scheduled post time of 6:07pm eastern time. 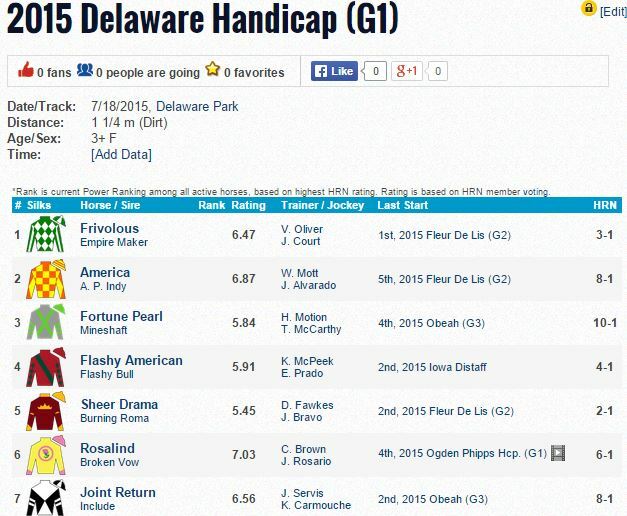 Sheer Drama is the 2-1 morning line favorite in a wide open renewal of the Grade 1 Delaware Handicap, a race in which the pace figures to be on the tepid side. Frivolous beat Sheer Drama in the Fleur de Lis and might be the one to catch from the rail. Flashy American, 3rd in the 2014 Delaware Handicap, and Rosalind, also figure to take some betting action. Arlington Million preview day features four graded races including the G3 American Derby. World Approval is the morning line favorite and faces six rivals in the pace puzzler. Other contenders include Crittenden, Nun the Less, and Firespike. 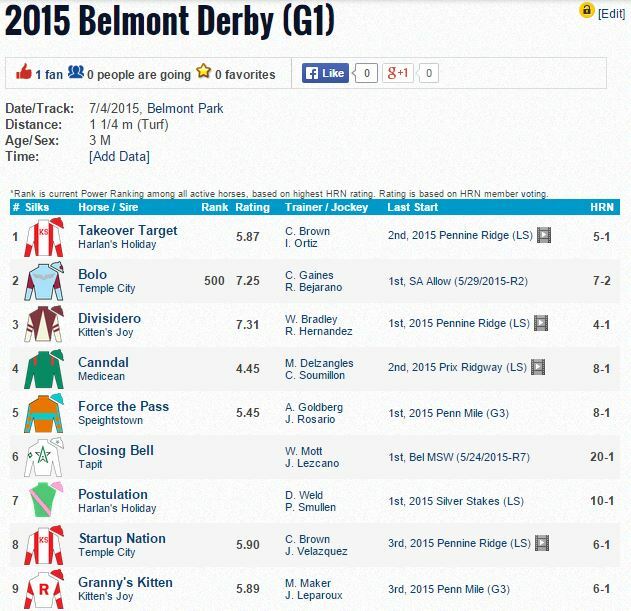 The 2015 Belmont Derby drew a field of eight and Bolo is the 5-2 morning line favorite. 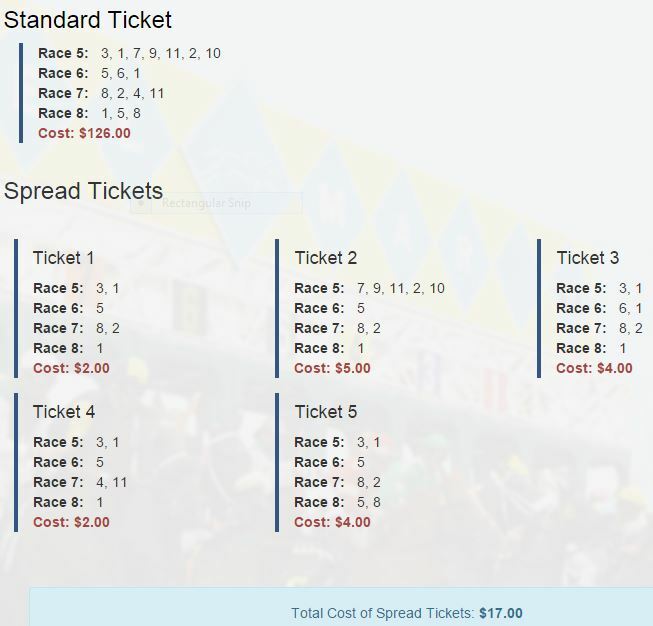 It is carded as the eighth race on Saturday, July 4, 2015. 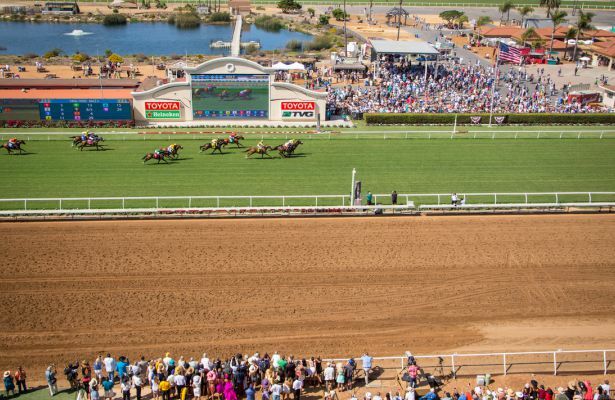 The ten furlong turf race for 3-year-olds carries a purse of $1.25 million. Besides Bolo, other contenders include 2-time turf stakes winner Divisidero, G3 Penn Mile hero Force the Pass, and overseas shippers Canndal and Postulation.